Let this Stargate Ring transport you to far away alien worlds. 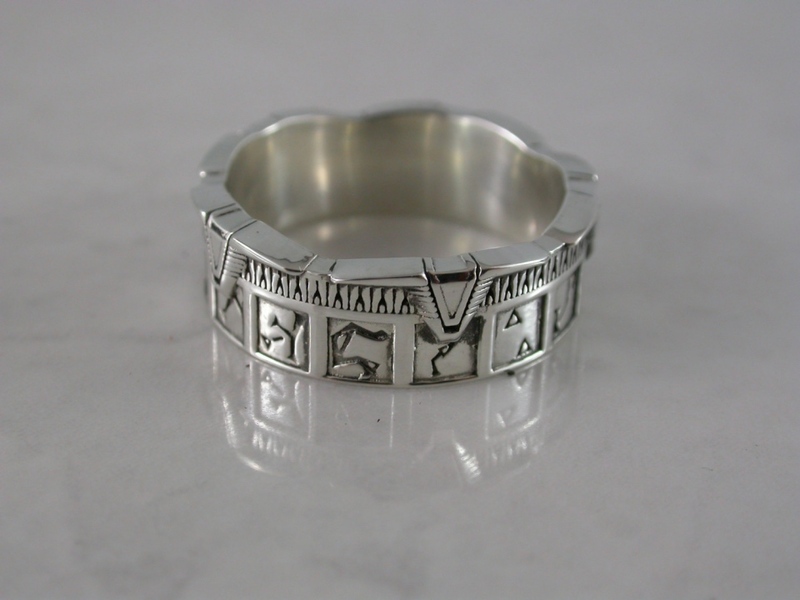 This awesome ring from Etsy artist MetalMonkeyJewellery has all of the details you want in a Stargate – including alien writing and arrows for lining them all up. Give it to your geeky spouse or wear it yourself. It probably won’t transport you anywhere. Probably. You never know with this kind of alien technology. It may just transport your finger, which would be really really bad. Are you willing to chance it? Your finger could end up lying in an alien field somewhere.